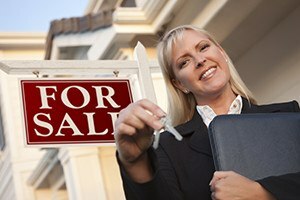 One potential problem or dispute that may arise in connection with a real estate sale is whether fixtures are part of the house and sale, or are personal property that will be taken with the seller. When a seller removes an object that the buyer expected to be included with the house, it may lead to legal proceedings. As a result, it is important to prepare for any potential problems and include clear documentation outlining the status of any fixtures. The Boston real estate attorneys at Pulgini & Norton can help make sure that the sales process goes smoothly. When appliances or equipment become fastened to real estate (or "built-in"), they turn into "fixtures" that are transferred with the sale unless the buyer and seller agree otherwise. If an item is built in by being screwed, nailed, or glued to the walls, ceiling, or floor, it is attached, and it will likely be considered a fixture even if you could, with some effort, remove it. Fixtures can include custom built cabinetry, doorknobs, lighting fixtures, ovens, and landscaping with roots in the ground. Generally, unless a refrigerator is built into cabinetry, it is personal property, as are a washer and dryer, which are not built in. Usually, curtains or drapery can be easily removed, but rods stay as a fixture. Various factors can affect whether an item is determined to be a fixture. One factor is the method of fastening and whether it is permanently affixed or easily removed. Sometimes the method used to attach an object can make it a fixture. Another factor is whether the object has become an integral part of the home, such as custom flooring or a bidet in a remodeled bathroom. However, decorative mirrors and wall-mounted flat screens are usually fairly easily removed, and they may not be considered fixtures. Generally, a seller needs to address fixtures and whether or not they are included when their home is listed. The real estate agent is supposed to identify potential fixtures and identify whether they are included or excluded from the sale. If, as a seller, you want to take a particular item with you, you should have this disclosed so that there are no surprises for the buyer. In addition, the inclusion or exclusion of fixtures needs to be set forth in the Offer to Purchase and Purchase Agreement. The form language provides as a default that those fixtures commonly understood to be part of the sale, like lighting fixtures and carpets, are transferred. With the form contract, the exclusions have to be expressly written into the agreement, or they will be included in the sale. When fixtures are not addressed in the agreements, the result can be a dispute that holds up the sale or causes other problems. At Pulgini & Norton, our Boston real estate lawyers understand how to draft a contract to appropriately address a party’s interest in the fixtures of a residential real estate parcel, and we can offer sound advice about the transaction. It is important to retain a property transactions attorney who can faithfully represent your interests in a contract. We also advise and represent people in Cambridge, Waltham, Brookline, and other cities in Massachusetts. Call us at 781-843-2200 or contact us via our online form for a free consultation.